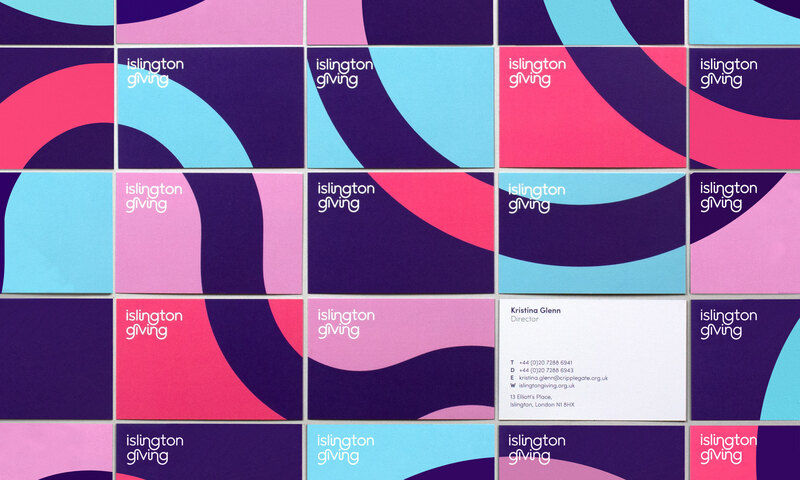 Islington Giving is a local charity that raises awareness of poverty and inequality in a borough of striking social extremes. Since its launch in 2010, the charity has been building a culture of giving; it has supported 20,000 residents, funded 74 organisations across 158 projects, and mobilised 5,000 volunteers. 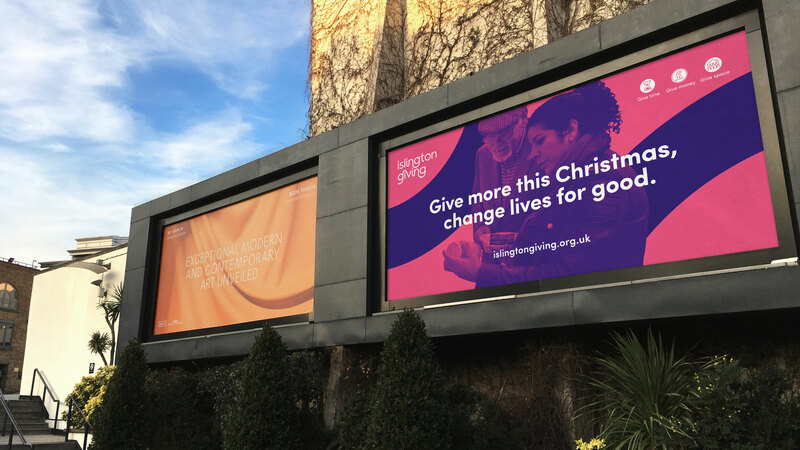 Its work has inspired a charitable model for the 21st Century, with 28 other ‘Giving’ organisations being set up across the capital. 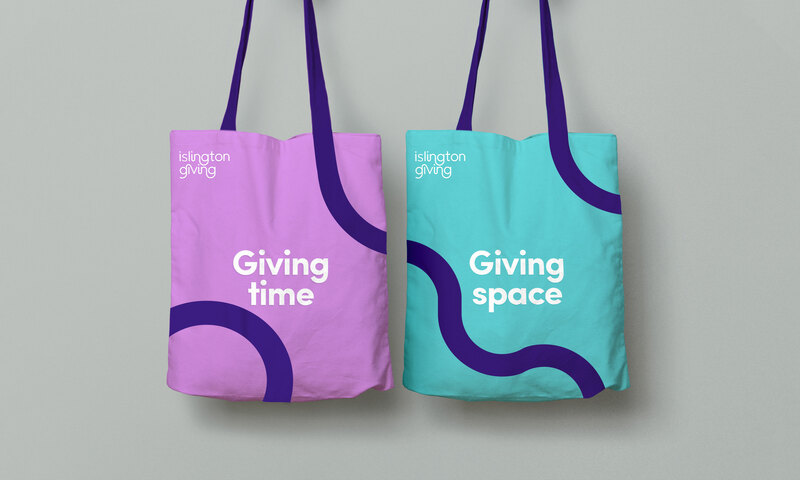 Islington Giving approached us with the aim of forming a partnership with a locally based design consultancy that could help them widen their reach. As we have been based in Angel Islington for over 15 years, we were very happy to get involved and give something back to our community. 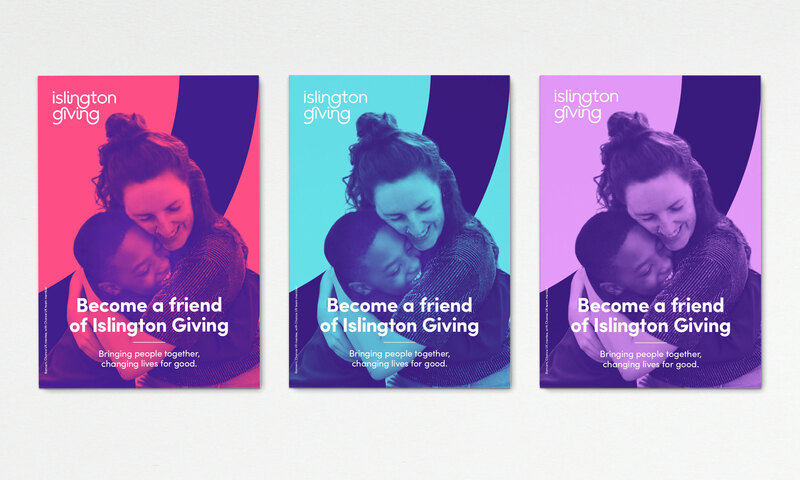 We worked closely with Islington Giving to help shape their brand strategy and messaging, developing the strapline: ‘Bringing people together, changing lives for good’. Our brand identity is based around the idea of bringing people together to create positive change. The logotype uses ligatures to reflect this idea, its curves echoed in a connective graphic device. 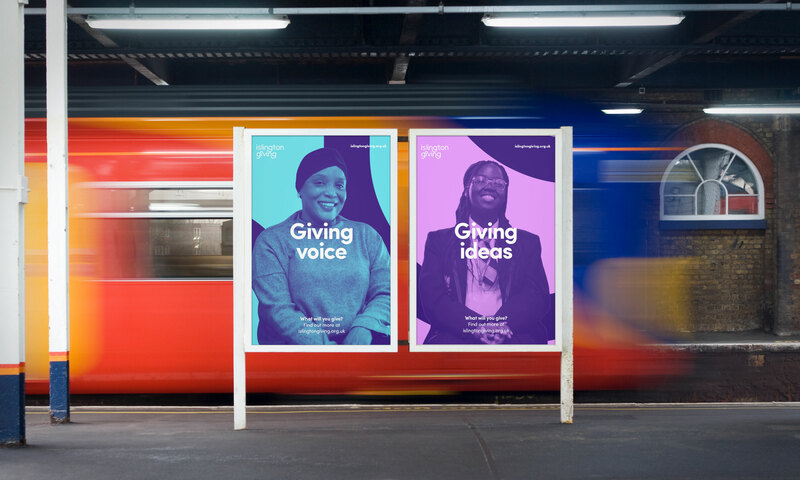 The identity has been applied across print and digital formats, including the charity’s new website. The site brings local people’s stories to the fore, highlighting the positive input of Islington Giving. It also features an interactive map of the borough, showcasing projects and key supporters across the borough.